Tis the season to spread cheer to all of those that you love. One of the best ways to do this is to send out holiday cards to ensure everyone knows you love them. Christmas cards can be costly though, especially when you order them custom made. Apart from that, it takes quite some time to fill out and send off your cards, which can add even more stress to such a busy season. There are quite a few holiday card alternatives that you might want to consider before you spend a fortune on your cards. These tips won’t just help out your budget, but they might actually help you to less burdened during the holiday season. So, don’t skip out on spreading your joy this year, because these tips have your back. One of the easiest ways to get your holiday greetings out there is to design a photo card to share with everyone. There are numerous websites that will basically design a photo greeting card for you. However, if you want to save some money then you can easily do this yourself with some of the most basic photo editing software around. There are even tutorials online to help you out. If you plan on using snail mail to deliver your cards, then you can have your design printed cheaply at most department stores. Of course, you can also skip this hard and expensive step by emailing your photos to loved ones or posting them on your social media account. This will get the message out there, while still saving you a lot of time, money and frustration. You can even save your greeting card for your own photo collection. If you like to show off your family’s personality, then a video greeting might be the perfect way to share your love this holiday season. Video greetings are incredibly easy to make too, which will help ease the stress of card season. You can film your greeting on just about any mobile phone, tablet or computer which will give you many options to choose from. You can even edit your video to make it look professional before you share it with the world. Your greeting can be whatever you choose as well. For instance, you can make up a little skit, sing a carol or simply share a quick holiday message. Once your video is complete then email or text it to loved ones or post it on social media. One of the best ways to skip out on the cost of cards is to make your own. There are so many great craft ideas for cards that you might even have trouble choosing which direction you’d like to go in. If keeping to a budget is your main concern, then try to plan your cards around craft supplies that you already have in the home. You can have kids draw pictures on blank paper or even color in a color sheet from a holiday coloring book if you’re low on supplies. If you love to send off pictures, then print out some of your favorites and create a card by scrapbooking smaller pages. You can find a wide assortment of crafty card ideas online, so if you’re not sure where to begin then you might try there. You can save even more money by handing out as many cards as possible in person. Crafting cards can be a great bonding experience for the whole family though, which will make sending out cards even more memorable for everyone. Your greeting card doesn’t have to paper or a classic greeting at all. One great option is to bake a special treat to pass out to those you care about. This type of greeting is especially great for coworkers and neighbors that you might not shop for but would still like to share some of your joy with. You can use items you already have at home too, which should help keep your budget under control. Some more popular greetings are Christmas shaped cookies that the whole family works to decorate. Of course, you can make whatever you want and distribute them how you see fit. You might find that the response to this greeting is greater than any card you might have sent. Instead of sending out cards to everyone, you might decide to go the sing-a-gram route for anyone that might live in the same town as you. Simply get the family together to decide on a special song to learn for the people on your list. Then dress up in a holiday outfit and hit the road. People will be shocked that you took the time out of your day to share such a delightful message with them. There are many Christmas songs online that you can find sheet music for without having to spend a penny. Thus, you’ll spend next to nothing on this holiday greeting, especially if you perform your sing-a-grams while you’re also running errands. When it comes to the holidays, many people tend to use their cards to update loved ones about their lives. Instead of working with a card, you might choose to whip up a newsletter instead. Newsletters are incredibly easy to type up, so you won’t have to spend too long working on your holiday greeting. You can even use holiday clipart to make the letter more festive. Your newsletter can be mailed out via snail mail or simply emailed to those you care about. The update on your family should help share some joy during the holiday season. It might even help you reflect on everything you have to be thankful for this year. Sometimes, the best way to share holiday joy is to actually pick up the phone and call the person you want to send good tidings to. You might start off by finding your mailing list and starting your phone calls there. You don’t have to make your calls in just one day either. Instead, try to span calls out throughout the month of December. This will allow you to actually talk with the loved one. The interaction will show that you cared enough to send greetings and that you wanted to catch up. This can be especially important when it comes to old friends and family. You never know how the people in your life are feeling during the holidays too, so a simple phone call might actually help bring someone the joy they need to get through a rough patch. Phone calls tend to cost you nothing extra if you follow your phone’s plan, so you’ll save a lot of money this way too. Cards don’t have to be wasteful. One of the newest trends is to actually send cards that can be planted. This not only shares your holiday spirit, but it also provides the recipient and the planet with a gift. You can purchase plantable cards online if you don’t want to worry about crafting; however, you might not save a lot of money going this route. You can also make these cards with ease though. There are lots of tutorials online to choose from, which should help you start the base of your project. You can even craft the cards with special messages or scenes to make them even more festive. You’re bound to love this craft so much that you’ll want to send plantable cards every holiday. Another simple way to avoid the chaos that is holiday cards is to look around for an online greeting that will suit your needs. There are actually a wide assortment of websites that will allow you to send free online greetings to your friends, family and colleagues. You can send individual messages or a mass greeting that will only take a few seconds. Best of all, many of the e-greetings are absolutely free. So, you’ll be able to send a flashy message that sings and dances to bring plenty of joy to those you love. This is probably one of the easiest ways to share your love, especially if you’re on a tight budget and schedule. 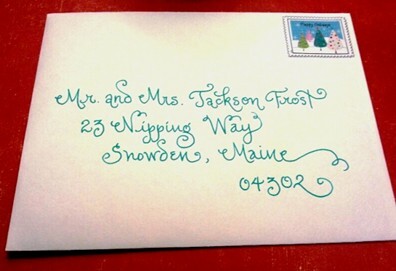 Of course, if you like to send out holiday cards in the traditional sense you should do so. Luckily, there’s a few ways you can save money on your cards though. If you can, try to avoid purchasing a new bundle of cards from stores and websites. You should be able to go through clearance sections online to find cards that have been reduced in price for this year. When it comes to shopping for next year, make sure you go shopping on Boxing Day or the following week after Christmas. This will allow you to purchase cards that would normally be more expensive. Once you have your cards, you’ll be all set for next year. Sending out holiday cards can truly mean a lot to the recipient. However, if you don’t have the budget to juggle such an expense, or if you’re running low on time then you might want to try some of these alternatives. They will certainly help make the holiday season easier and in most cases a little cheaper.